At the dawn of the 1970s, the Huffy Corporation (which made gas station equipment before turning to bicycles in 1934) was losing air from its tires. Cheap bikes manufactured in factories overseas had grabbed nearly 40 percent of the market, and a recession was looming. So Huffy made a strategic marketing decision: It would shift most of its attention to the kids demographic. 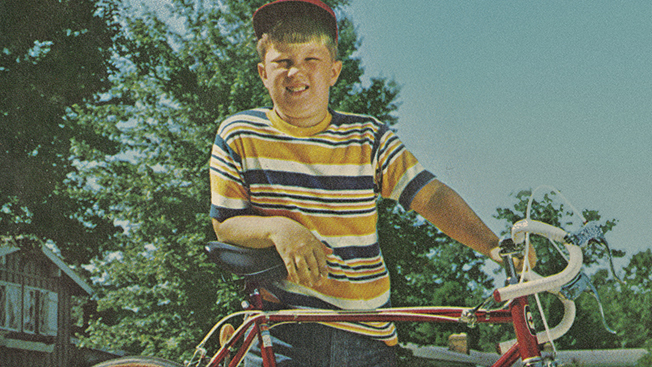 This 1971 ad proves just how good Huffy was at it, too. Skillfully deploying a dual sell, the brand excited kids with the idea of a new bike while also luring parents with the guarantee of a low price. Bikes have always been unique for their ability to deliver on an irresistible assurance: For a comparatively reasonable sum, most anyone can buy into fun, adventure and (as Tiger here, formerly Wilbur, would tell you) a near-instant social status upgrade. What’s more, as this 2014 ad for Huffy demonstrates, the tactic still works, though this time around Huffy is appealing to mom with the same enchantment it promised to the neighborhood boy 43 years ago. But as charming as these ads are, a closer look suggests that Huffy might have actually lost some of the magic it so capably practiced in the old days. If, as this ad suggests, mom really is never too old to play hooky, Wintsch believes she should be sailing down the street with the wind in her hair and to hell with the rest of it. “I wish there were more here than a pretty mom standing by a pretty bike,” she said. In other words, maybe a little more Wilbur would help.